Kander has more than two decades of NBA experience. As the NBA is becoming more and more scientific, whether that means implementing analytics and numbers more or improving ways to evaluate health, the Timberwolves are getting more holistic. When Minnesota hired new physical therapist and trainer Arnie Kander this offseason, they brought someone who was not going to promote conventional ways of healing into town. But that's not such a bad thing. Quite the contrary, actually. You can click here to check out the article in full (and you should; it's super interesting). With Kander came his lotions, creams, rubs, nutritional supplements and a holistic approach to healing in which he makes no distinction between two seemingly different hats — strength coach and physical therapist. He is the guy who once helped put Chauncey Billups back on the court in only four days by wrapping frozen banana peels on his split hamstring. 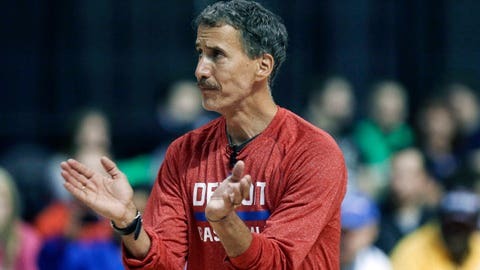 He is the guy whose stature with the Pistons once inspired the team to add Kander’s training-table wheatgrass and organic lemon drink as well as quinoa, kale and lentils to the Palace of Auburn Hills concession stands. Players who have had him tend to their both their bodies and minds through these many years are believers.